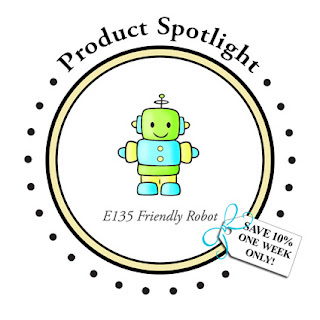 My Paper Trove: DeNami Design Product Spotlight: Friendly Robot! 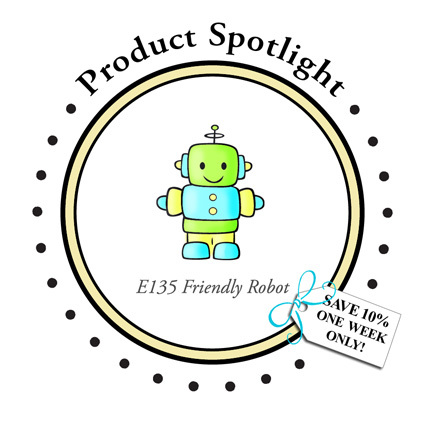 DeNami Design Product Spotlight: Friendly Robot! How cute is this little Friendly Robot!?! I've added a little color with my Copics and paired him up with a simple little "Hello" from the Assorted Greetings Petit Four set. A matching button and twine and a few silver beads keep this one simple and clean! Be sure to visit the DeNami Blog and the rest of the Design Team and see what they have done using the Friendly Robot set too! Thanks for stopping by today! Don't forget, the Friendly Robot stamp set will be on sale for one week only! Have a great day! Super cute Pattie, love the colors!